Today we share a outdoor garden Bahamas wedding style shoot captured by Dolce Photos. Outdoor Bahamas weddings are trendy and fun! The Bahamas boasts lovely botanical gardens. 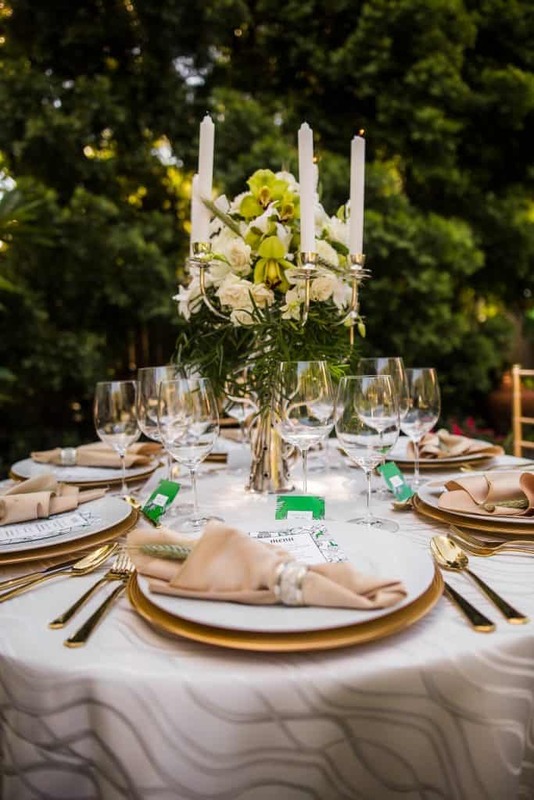 For the the non-ocean side bride, a garden setting is perfect. 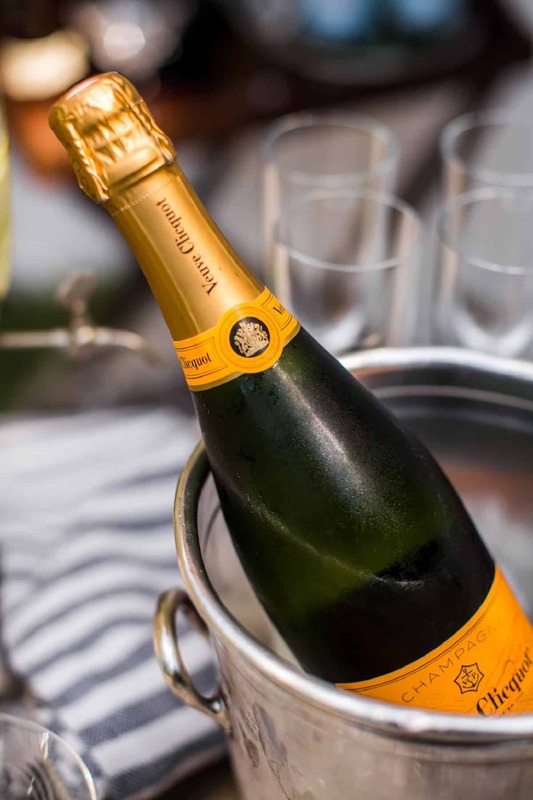 No Bahamas wedding reception is complete without flavors of the sea! 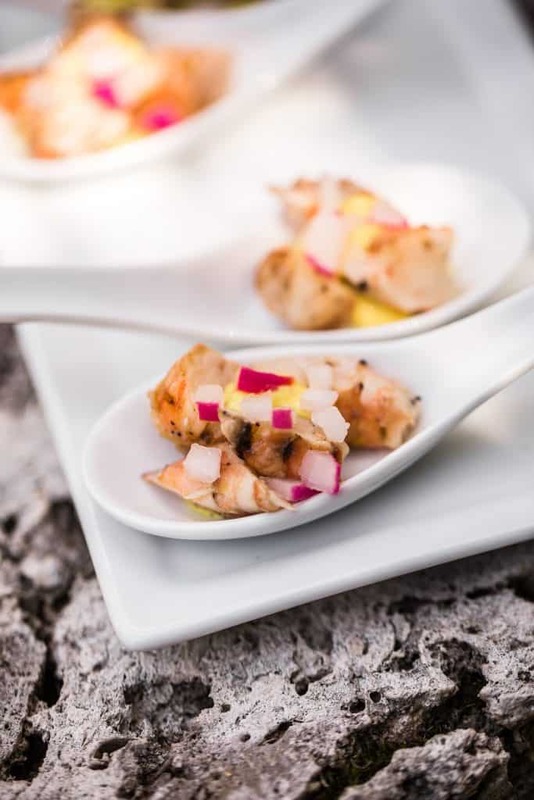 What’s more, bite size grilled shrimp with saffron aioli make the perfect cocktail hour snack. This presentation by RAH Designs is yum! We came up with several looks … the same setting in this Bahamas destination wedding styled shoot. 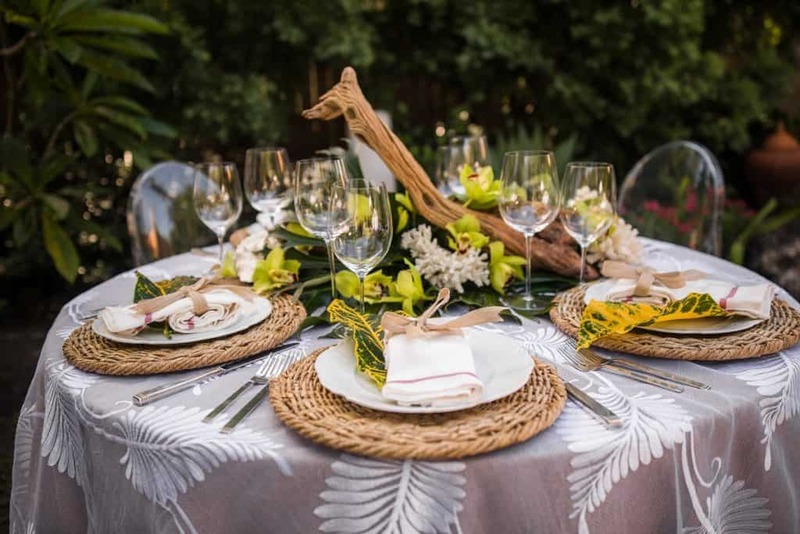 But, we envisioned a tropical outdoor garden party. 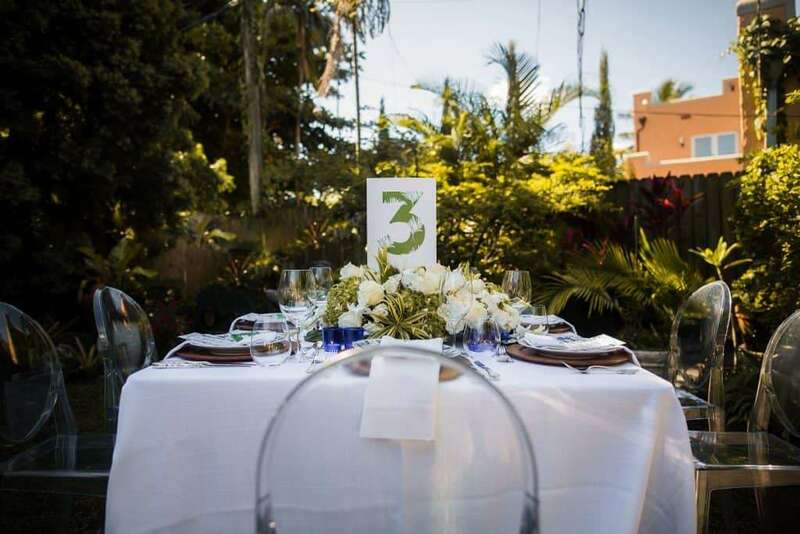 So, a minimal color palette with a bold table number and cobalt blue votive candles was incorporated. 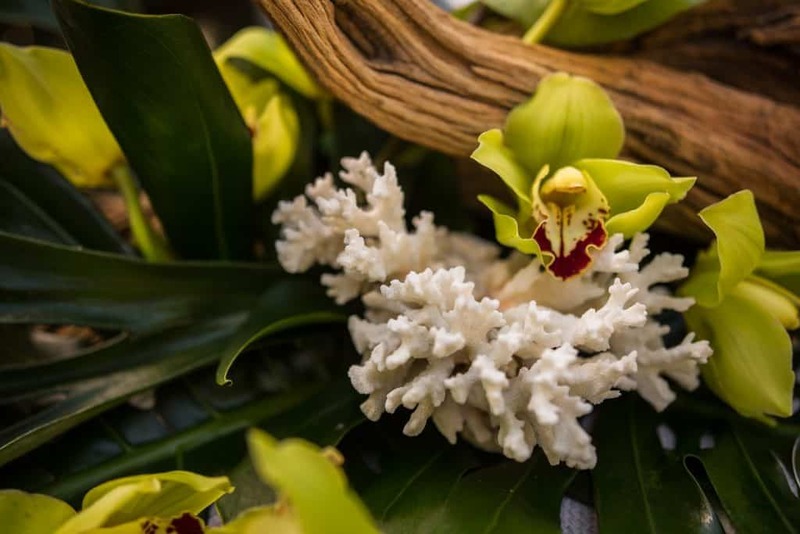 Coral, driftwood and chartreuse Cymbidium orchids give this table a lush, tropical vibe. 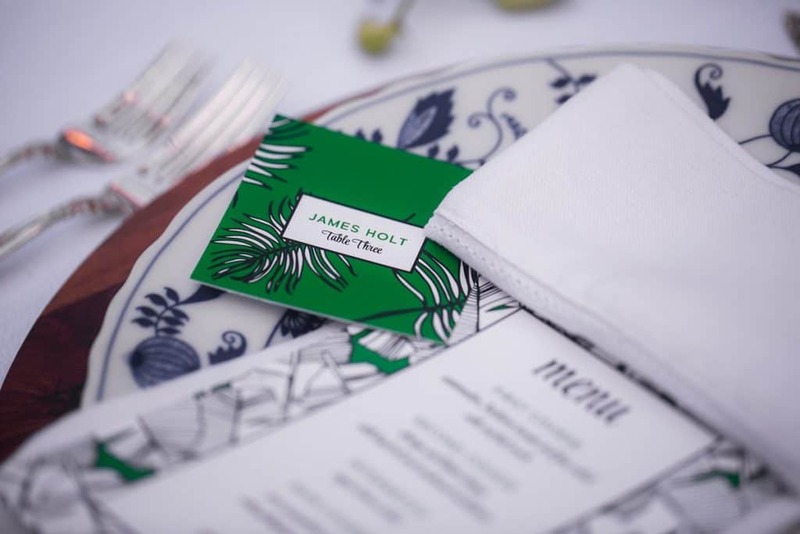 Modern tropical place cards and menus in black, white and kelly green by Kelly Ashworth Design. Love the gold flatware and wavelike pattern on the linens! Moreover, white, naturals and greenery are our brides favorite color palette. And, we love this trend, too! 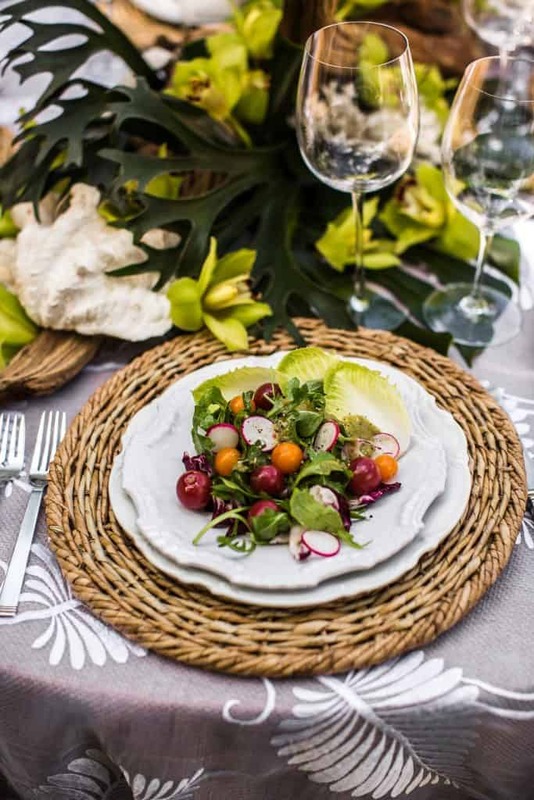 Of course, an artful salad is a great way to cap off any al fresco reception! If you are dreaming of a lush tropical wedding on one of our beautiful islands, don’t hesitate to reach out! We’re ready to plan your dream wedding in paradise!